Since the creator hasn't been online for 2 years, would someone be allowed to come along and unofficially continue it? Or do the terms say otherwise? going to EVERY. SINGLE. 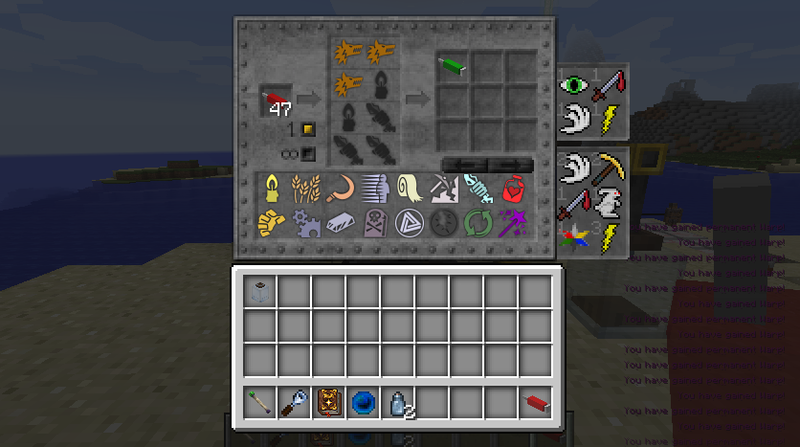 THAUMCRAFT ADDON MOD. to demand an update. Really. A TC6 update for a mod whose creator has not been online in 2 years. Maaaaaybe because it hasn't been updated, nor has the creator been available online, in over a year and a half? Could that be the reason? i cant load the injector with shift-right clicking, is there something i missed? Is the 'alternate recipe' conflict ever going to actually work? I tested it earlier and it doesn't work on servers. Instant 'rendering screen' crash, same as always. I keep getting booted from my server when i try to make research notes from the horizons tab. anyone know a fix for this? I really like how the Crystal wand allows you to craft a void aspected primal staff. I absolutely love self infusion. Keep up the mind-blowingly awesome work! However, I would rather the mirror amulet to send its component Primordial Pearl to the mirror it's linked to. Maybe a config option? It's still better than losing everything else. The Golemancer's bell workaround still doesn't work. Even using the alternate recipe added through the config, I cannot craft one without crashing. I am using both the latest version of Thaumcraft and Thaumic Horizons. Has anyone else had this issue recently?? Currently having it on my friend's server and pack, yes. It's annoying. When using the diamond hide infusion, the sparkles it creates don't seem to despawn. 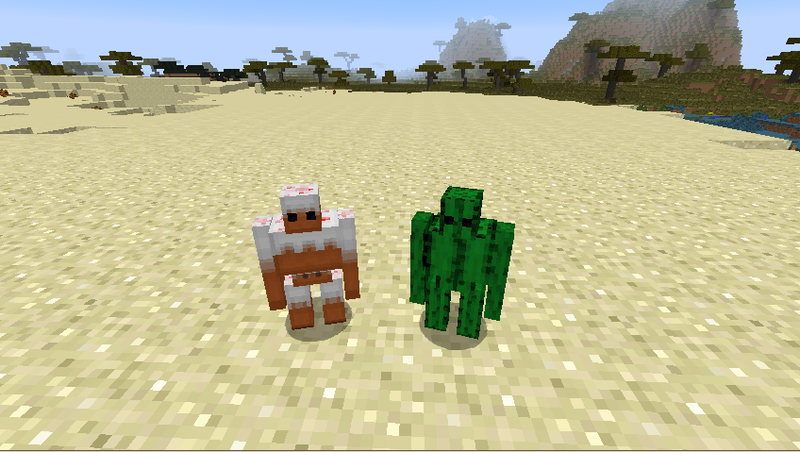 This was seen on a creeper; I don't know if the issue would occur on other mobs as well. You can see it clearly (http://i.imgur.com/La56XqO.png) inside the vat, since it's stationary for so long, but the sparkles are persisting elsewhere as well. 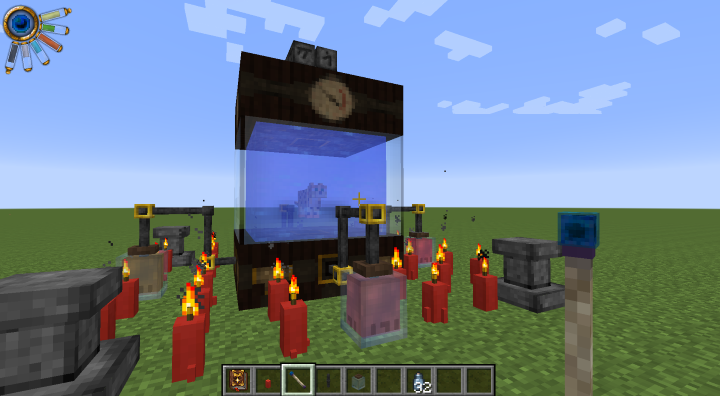 Got a rendering bug with the Vat and any mob placed in there via a Jar. Initially was testing with mobs from Headcrumbs, but I quickly found that it happens with any mob (Redcaps from Twilight Forest and pigs). 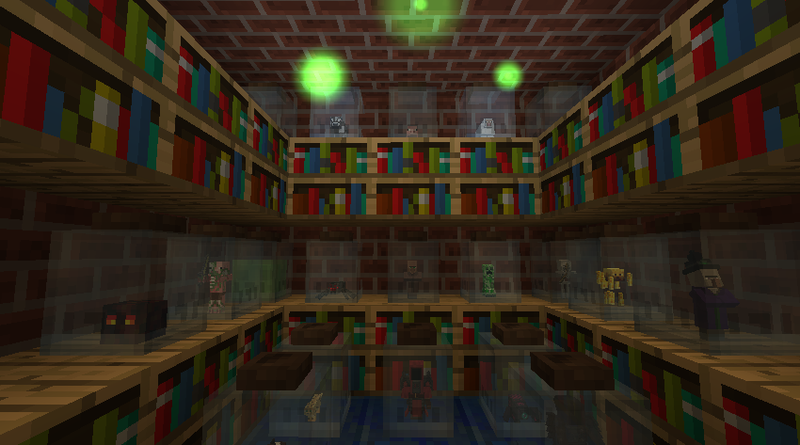 The mob in question renders outside of the vat, but is only visible at specific angles. If I don't have my crosshairs on the Vat, then the mob renders fine in the vat. Can you make a 1.8 version. There appears to be an error with rendering itemJars or at least certain itemJars. I found a block dupe/crash. First of all, this is using Thaumic Tinkerer's Transvector Dislocator. This is a block that swaps a block next to it with another block it is bound to. 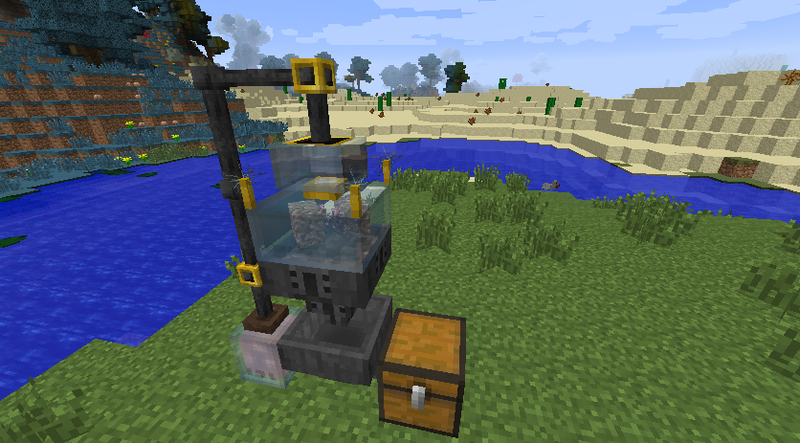 When attempting to place the Modified Runic Matrix atop the Curative Vat using this block, the game crashes. The T.D. can remove the Modified Runic Matrix just fine, but it cannot place it atop the vat. When this is done while swapping the M.R.M. with another block, the game crashes as normal, but the block that is being swapped with the M.R.M. is duplicated. I originally discovered this with the soul beacon, then tested it with a piece of cobblestone, and both were duplicated. I would do further testing on what can be duplicated, but that is rather difficult, since it takes a very long time to boot up my client after every crash.